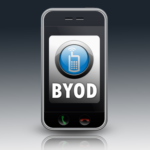 The mobile device market is booming, more employees are bringing in their own device to work (BYOD). BYOD has many advantages that a workforce that’s mobile, increased employee satisfaction, increased employee productivity and more; but using personal devices comes with risks, and business management must consider these risks before allowing BYOD in their office. Strong risk management means being prepared for the worst case scenarios. 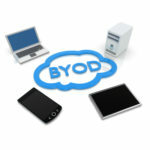 Here are five BYOD worst case scenarios that every adopter of BYOD will need to be prepared for. How much danger would your business be in if an employee lost a smartphone with your company’s sensitive data or customer information stored on it? Even a stolen contact list with your client’s and employee’s phone numbers and email addresses can be a difficult situation to clean up after. You may be legally or ethically obligated to inform everyone affected by the leak because you are responsible for putting their personal and business information at risk. 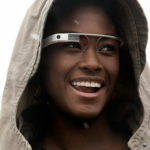 Do you think your employees are too smart to lose anything? Think again, even the best of us lose and misplace things. 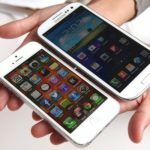 According to a study by CompTIA, it’s estimated that every day in the United States, 160,000 phones are lost or stolen, which accounts for half of all mobile security incidents. The cost of replacing phones, time and money spent on damage control, and actual money stolen from accounts linked to the phone adds up to $30 billion per year in the US alone. The other half of mobile security incidents come from mobile malware. 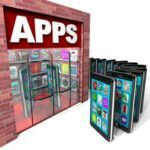 Mobile malware is in its infancy and will continue to grow as a threat as more devices come online. Two of the biggest mobile scams that employees fall for is downloading malware that captures authentication information and log in credentials for financial accounts, and unknowingly sending SMS messages to high priced premium-rate numbers. An employee with a smartphone has more opportunity to post their thoughts or feelings to social media. While the majority of employees can handle this power, all it takes is one dumb social media post to hurt your companies image. What if an employee reacts to a work disagreement by airing out their grievances on Facebook or Twitter? Or what would happen if an employee unintentionally or intentionally leaked company secrets about an important project? A company with strict Internet usage and social media policies will want to be sure employees are trained on appropriate use of Social Media outlets in regard to the business. It’s great that your staff is now mobile and they can do work from almost anywhere, if they begin to feel like you are requesting them to do work outside of their agreed upon employment while at home to call or e-mail a client, then you may be hit with a lawsuit or audit form the Department of Labor for unpaid overtime. What happens if you let an employee go, and your company’s information is on their personal device? You can try to go into their phone and delete your company’s data, but what happens if, in doing so, you accidently delete their personal information? A mistake like this can also result in a lawsuit. All of these risks can be managed by being intentional about mobile security and having corporate policies in place that prevents or prepares your business for these worst case scenarios. 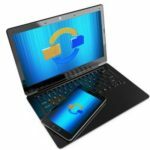 Quikteks can help you enact strong mobile security solutions and smart BYOD policies that will help your business get the most out of BYOD as it was intended. Call us at PHONENUMBER to learn more.